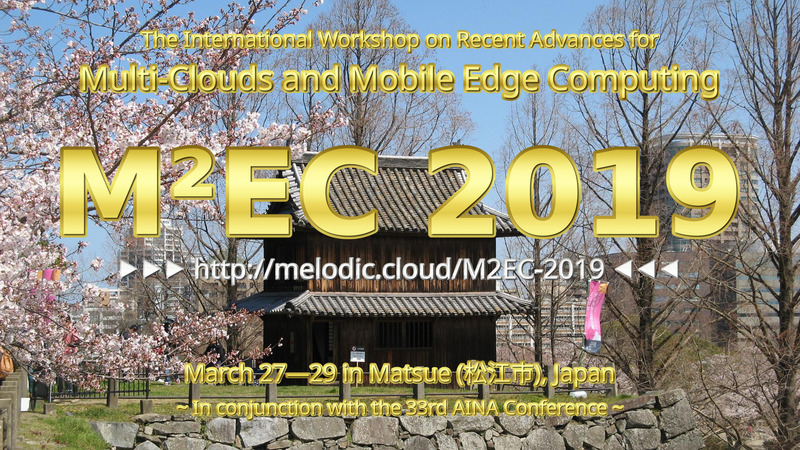 The paper submission deadline of the International Workshop on Recent Advances for Multi-Clouds and Mobile Edge Computing (M²EC 2019), to be held in conjunction with the 33rd International Conference on Advanced Information Networking and Applications (AINA), is coming soon! See http://melodic.cloud/M2EC-2019/ for further information! The AINA with the M²EC is to be held from March 27 to 29, 2019 in Matsue (松江市 ), Japan! Next → Next post: God jul og godt nytt år 2019!